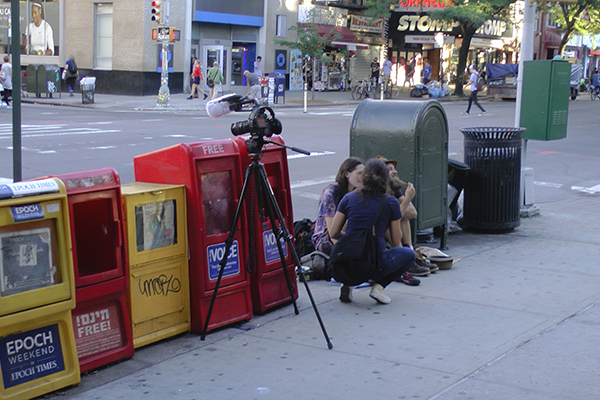 I was walking down Second Avenue recently, when I saw: first) the video camera setup; then 2) the people sitting on the sidewalk. At first, I thought they were all a part of the camera crew, but when I passed I discovered that the two not sitting on their haunches were crusties! They look very much like new crusties too — they're clean, and they don't have a dog! East Villagers love watching interviews with crusties… on the YouTubes! maybe they are actors, in a movie about krusteez?